This page presents the amazing craft skills of folks living in the Cheat Valley area of West Virginia. Rowlesburg is the heart of this spectacular valley. Featured here are the crafts made in this area and people who make them. As time allows, more features will be added. This is a small, family run farm located deep in the beautiful mountains of West Virginia. 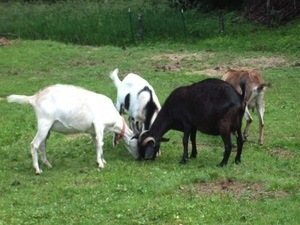 The goats are beloved members of the proprietorl, the Davis family. The milking is done daily, right here on their farm. The soaps are made in their home kitchen using high quality ingredients. 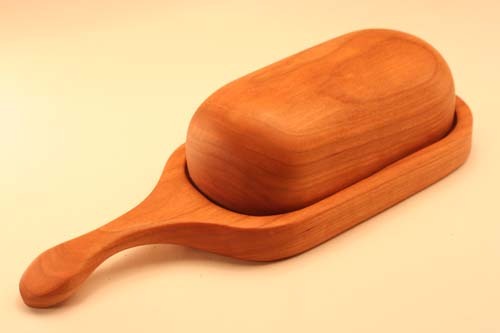 ﻿Our high quality soaps are creamy, soothing, and form a rich lather. The are made using goat milk, saponified olive and coconut oils, and essential oils. Some soaps use no essential oils, but are made with other ingredients such as honey, oatmeal, and plant materials. To contact the store, call 304-454-2423. Visitors are welcome. Learn more about Birch Root Farms and their products at www.birchrootfarms.com. 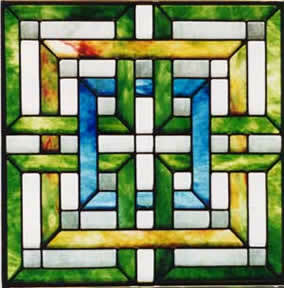 Since 1981, David Houser has been designing and executing stained glass ornaments, panels and kaleidoscopes from his home in the woods of West Virginia.﻿Specializing in geometric and abstract designs, David's leaded panels incorporate both American and European stained and clear textured art glass. Appropriate for use as exterior or interior windows, David's panels are known for their high degree of craftsmanship and use of color. All glass is hand cut and assembled by David, one piece at a time. David offer several courses a year. Shown below is one of his classes at the Szlagyi Center in Rowlesburg, WV. To contact the store call 304-892--4372. Email address: dave@houserglass.com. Web address: www.houserglass.com. The properietors, the Jennings family from Evansville are enjoying life these days on their secluded forty-five acre farm in Preston County, WV. They met in 1984 while working underground in the coal mines. Out of a job in 1985 with the shut down of the mines, they were forced to seek new professions. Both dreamed of one day working for ourselves in some kind of a woodworking business, knowing the natural resources were so abundant locally. They finally decided to bite the bullet and take a shot at their dream in 1990. The rest as we say, is history. To contact the store, call 304-892-5008. 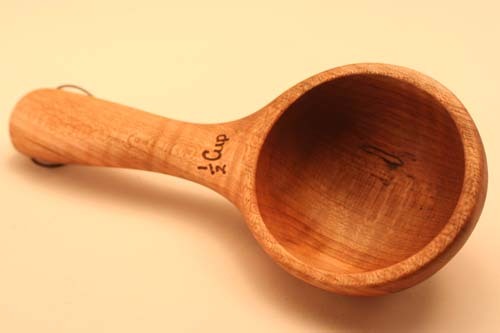 You can visit the Treenware website at www.alleghenytreenware.com﻿. Visitors are welcome at their shop. See website for directions. 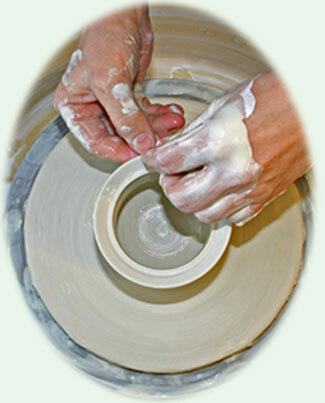 Susan creates her porcelain pottery in her pottery studios in Rowlesburg and Kingwood, West Virginia. 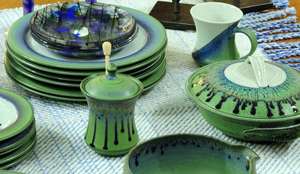 Her studio in Rowlesburg is called the Riverview Art Studio where Susan does pottery and conducts classes. The forms and colors are inspired by the rivers, especially the beautiful Cheat, oceans and West Virginia mountains that are an integral part of her life. She invites you to browse her website and order on-line or to see her work in person at the galleries and shows listed. She also welcomes you to her studios for tours, including demonstrations, by appointment. Susan Ramey Bisgyer, 116 Chestnut St., Kingwood, WV 26537. 304-329-1883, Susan@RidgetopPottery.com﻿.